The Unite Housing Workers' Branch has condemned the discussions taking place between the Greater London Authority and Clarion Group with the potential to create a strategic partnership (Inside Housing, 11 April 2017). 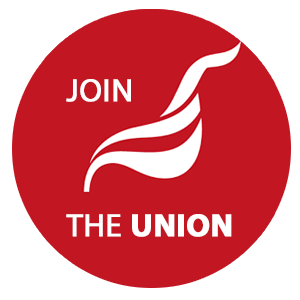 The partnership would allow Clarion to benefit from public funding through the "Affordable Homes Programme"
Whilst supportive of programmes to build more housing, and especially if this includes homes within the financial reach of ordinary working people, the union branch is opposed to support for associations which are mistreating residents and staff. Clarion most recently hit the headlines for its decisions to de-recognise Unite and to remove sick pay for the first three days of sickness absence for new starters. The latter was successfully overturned after a campaign led by Unite. "It is disappointing that the Mayor's office is not insisting that such associations must recognise trade unions if they are to win public money. The unions help ensure that workers are treated fairly, and that there are enough staff to carry out the essential work like maintenance, repairs, and customer care. It is a way of making sure that taxpayers' money is well spent." Clarion was formed through a merger between Affinity Sutton and Circle Housing Group, the latter of which had hit the headlines both in Tower Hamlets and the London Borough of Havering for the poor standard of housing and mis-managed repairs (The Guardian).